PETRELLAS IMPORTS IS A COLLABORATIVE PROJECT BTWN ELISE & FELLOW ARTISTS ANNE LIBBY & SOPHIE STONE. 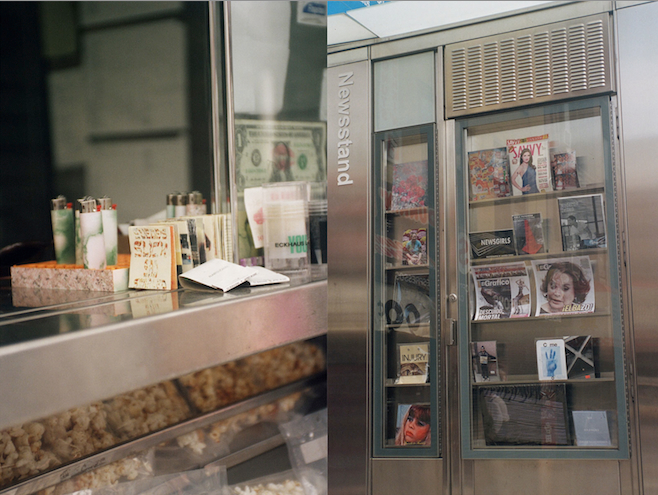 STARTING IN A NEWSSTAND @ CANAL & BOWERY IN NYC THE SUMMER OF 2014, PETRELLA'S IMPORTS SOLD ARTIST MADE GOODS AND PUBLICATIONS FROM UMBRELLAS, TO LIGHTERS, & OFCOURSE ZINES. 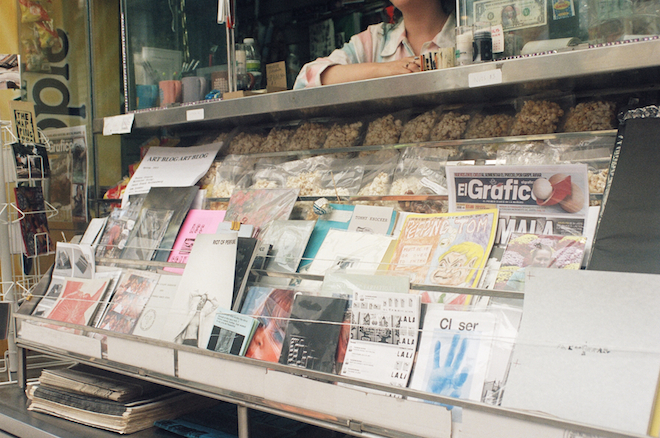 THE INITIAL REALITY AS A RETAIL PROJECT MORPHED INTO A VARIETY OF OTHER REIMAGINED PLATFORMS FOR ART DISTRIBUTION. FALL OF 2014 PETRELLA'S LAUNCHED A WEB APP ALONGSIDE AN INSTALLATION AT SUSAN GUIESS & CO GALLERY, RELEASING 30 ARTISTS PDF'S TO BE VIEWED FOR FREE FROM ONE'S OWN MOBILE DEVICE. THE NEXT RELEASES OCCURRED ROUGHLY EVERY 6 MONTHS AT VARIOUS LOCATIONS, INCLUDING THE PULITZER FOUNTAIN NEAR CENTRAL PARK, NADA NEW YORK, & NIGHT GALLERY LA. 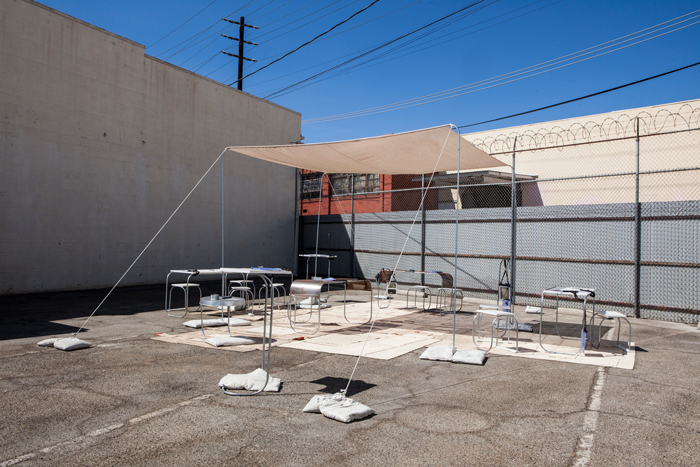 SUMMER OF 2015 WE HOSTED A BI WEEKLY PERFORMANCE SERIES OUT OF THE NEWSTAND, WITH ARTIST LIKE BRIAN BELOTT, RAUL DE NIEVES, & ALISON KIZU BLAIR.